Welcome back to the second installment of my short history of chair design. I have also found a great little chair blog that is worth visiting for up to date info on, well, chairs over in the old blogroll, so check it out. Charles Eames was a clever bugger. Not only did he revolutionise how we see furniture today but this American designer was the creator of the rather famous Lounge Chair 670 and Ottoman 671. In fact many of the most recognisable chairs around are regurgitated variations on his original creations. 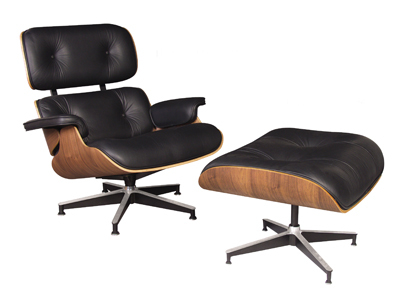 He also championed the use of moulded plywood as seen in his beautiful Eames 670 chair. Arne Jacobsen was one of Denmark’s most influential 20th century architects and designers. His exquisite Swan and Egg chairs, were testament to his passion for modernism and his love for Scandinavian simplicity. He also created one of the most recognisable chairs in existence, the Series 7 chair, and his Egg chair made a memorable appearance in Stanley Kubrick’s 2001: A Space Odyssey. In fact, he was such a prolific designer, chances are you will either own a Jacobsen-inspired piece or at least covet one! Verner Panton must’ve had a penchant for hallucinogenic drugs as his futuristic designs couldn’t have been created by a-two-pints-and-a-packet-of-peanuts man. Verner was a total master of plastic and his furniture has been studded across popular culture since he bent his first bit of the bright stuff. Naturally, he was a Dane (see a theme developing here? I tell you it must be something in the water.) Although I cannot afford one, I would just kill to get my paws on an original. Sadly it will never be so I’ll have to settle for a reproduction – fortunately, Purves and Purves sell them in five delicious colours for around £165. Hans Wenger has also made him name synonymous with outstanding furniture design. Having begun his career as an assistant to Erik Møller and Arne Jacobsen, Wegner branched out on his own and created such classics as the Wing chair seen here. Following up such inspirational design icons was always going to be a challenge and thankfully there are some real contenders for the modern furniture design crown such as the charming Terence Conran, who not only founded Habitat back in the 1960s but produced a load of talented offspring who are also a dab hand at the old design malarky. And lest us not forget the imitable Philippe Starck, whose Louis Ghost chairs can be seen adorning the chicest of boudoirs. Other designers that float my boat include Peter Karpf who dreamt up the awesome the Tri Chair – both ergonomic and sustainable as it is formed from one entire piece of wood, ticking all the must-have green boxes required in modern design. Described as one of the most European of Japanese designers, Toshiyuki Kita is famous for his ‘Wink’ chair which was typical of the loud design aesthetic popular in the 1980s. We had to get a Spaniard into the mix, and who better than Molina. This designer has created a whole host of iconic pieces, perhaps none more so that the nature-inspired, Leaf Chair. 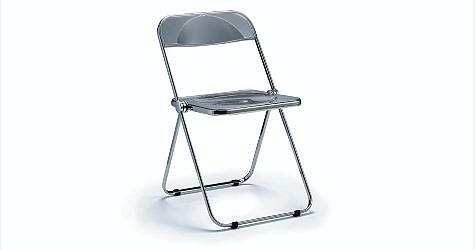 San Giovanni Piretti is an amazing Italian furniture designer, Piretti crafted the now ubiquitous ‘Plia’ folding chair – I was bought one for Christmas in the 80s and never realised what a design classic it was. What can I say about chairs? Well. We sit on them – a lot. We whine about them at work. They can give us so much comfort, yet they have been known to cause some serious aches and pains – so why do we have such an ongoing love affair with the humble chair? 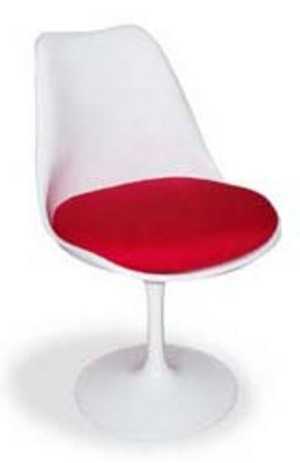 I have long been an admirer of ‘la chaise’ and cannot pass a furniture shop without stopping to drool over the latest ergonomic offering, so with this in mind, I have decided to compile a short modern history for all you furniture fans out there, to give you the low down on the all time best bottom candy. Many years after we swapped the hard rock for the patch of moss, some bright spark decided that we were getting a bit grubby on the floor, and it was playing havoc with granny’s lumbago and the chair came into existence (I would just like to point out that this is not historically accurate) and thank God it did. The 20th century was awash with designers, many of whom came from an architectural background, and all were fixated on designing the most fabulous chairs. For the uninformed, Bauhaus is the name given to the particularly pertinent era of design which began in Germany in 1919 and ended in 1933. This design school created a number of amazing furniture designers and sparked a period of experimental and innovative design which has clearly inspired the majority of contemporary furniture creators. Gerrit Rietveld never actually attended the Bauhaus but was one of the architecht / designers that inspired many who did. He was an early member of the Dutch Modernist Design Movement (De Stijl) before going on to create the Schroeder House in Utrecht, Holland. However, he is probably most famous for his Mondrian-inspired Red/Blue Chair – very stu-stu-studio line ‘n looks a bit of a beast to sit on! Luwig Mies van der Rohe worked in an architectural firm before turning his hand to furniture, and good job he did as we wouldn’t have the fabulous Barcelona chair as seen propping up the bums of the entrepreneurs on Dragons’ Den. He was actually the director of the Bauhaus from 1930 until it closed in 1933 when the war kicked in and he scarpered to the US. Marcel Breuer – Hungarian Breuer was a top architect and is famous for his rather quirky steel designs such as the Cesca chair below. A firm favourite of executive types that like to play with stress-bustin’ office gadgets while musing the movements of the stock market. Alvar Aalto was a bit of a revolutionary and yep, you guessed it, a Scandinavian, well Finnish actually. His work typifies the best of 20th-century Scandinavian architecture, and he was one of the first to depart from the stiffly geometric designs in favour of a more ergonomic expression. I love his simple stool which is as popular now as it has ever been. Eero Saarinen is more well known in design circles but your average Joe may not be familiar with the name. Another Fin, Saarinen – not to be confused with the evil overlord from LOTR – created the beautiful Tulip Chair below – simple yet beautiful. Stay tuned for Part Deux – women designers and Brits. Vive La Chaise! Oh how I love a good dose of Scandi-chic – it can inject a real calm, streamlined feel to interiors, whether it’s through the simple fabric in pretty red and white check, chic alpine flower prints or bold statement textiles that scream sophisticated style. Having lived in Holland for a couple of years, I have long loved Dutch designs but more recently I have cast my net further afield and have caught a whole new generataion of Scandi designers that I just have to tell you about. As such, I have taken it upon myself to create a mini guide of designers to watch, places to find these gems and a couple of local haunts to try if you are on the hunt for a dose of Scandi –love (and we’re not talking strapping Swedish hunks in the sauna). We can’t really talk about Scandinavian design without mentioning Verner Panton and Arne Jacobsen. Panton, made famous by his chair of the same name, used rich colours and soft lines to create his signature look, while Arne Jacobsen’s striking design and architecture is embodied by his famous Swan chair. As for the young Scandi upstarts worth keeping an eye on, Sofie Refer and Jacob Staer – are two budding designers that are currently gaining a great deal of press thanks to their jaw-droppingly exquisite lighting accoutrements – in particular their glamorous chandeliers while René Hougaard who goes under the name of Dnmark – is definitley worth noting. This Hetkiä fabric with black and grey pattern makes perfect wall candy art. Designed by Maija Louekari, it is very on trend – see my previous post on doodling and illustrations. is one of my latest finds, she is a serious contender for my top list of all-time great inspirational designers. While this spring-influenced oilcloth, entitled family tree, by Trine Andersen can be snapped up through Ferm Living (which Trine founded) at around €25 a pop, I reckon it’s a bargain – I expect to have one gracing my kitchen table before too long. So there you have it (for now). There are of course plenty of other fab places and if you happen to live in the south west then I recommend a visit to ‘Hanzel und Gretel’ on Brock Street in Bath. Walking into the shop stuffed to bursting with cookoo clocks is the first treat, as well as the hand-crafted Austrian lace and other fripperies but if you go down stairs there is a little grotto type coffee and strudel bar where the Sound of Music plays and the lights twinkle…a secret space worth visiting. I advise you to favourite these little beauties so if you are ever in need of a serious dose of design, you can get your fix! Jamie on Ooo me likey!